the brass pick Drummond to head the investigation. Drummond's past...and a brutal murder takes place alarmingly close to home. Forced into an uneasy alliance with Captain Lisa Morrow, the Army's best defense lawyer, Drummond uncovers a vast conspiracy of frightening proportions. And the deeper he probes, the more he discovers how duty, honor, and country can clash--in ways both deadly and heartrending. 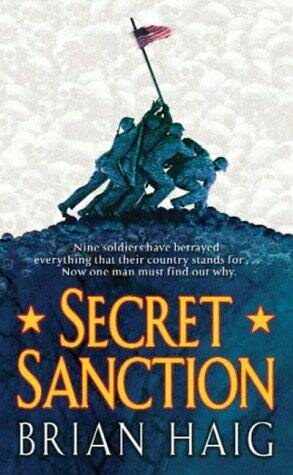 With richly layered characters and a mesmerizing plot that moves at breakneck speed, SECRET SANCTION cast a searching light into the darkest corners of the human psyche. In a voice unmistakable seasoned by years of Army service, Brian Haig has created a landmark novel.